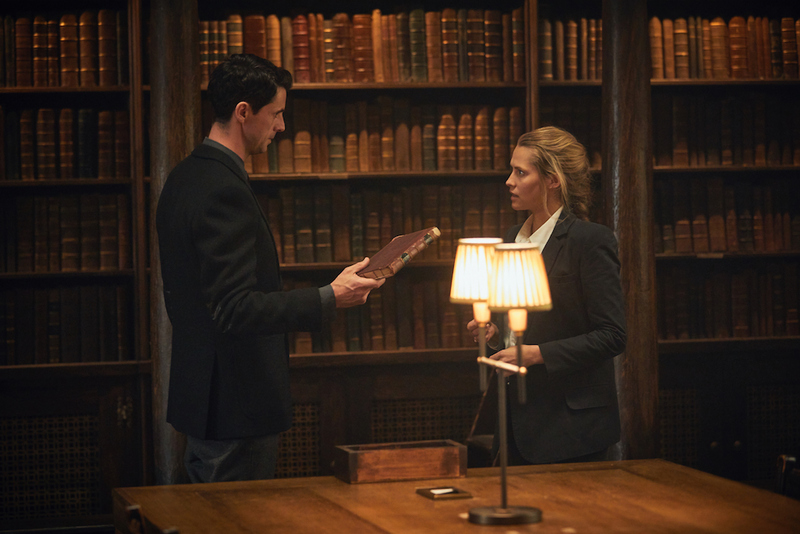 A Discovery of Witches‘ premiere episode lays the foundation of the remainder of the series by establishing the overarching problem facing supernatural creatures and the roles Diana Bishop and Matthew Clairmont must play. I’ve loved A Discovery of Witches and the All Souls series since 2012. Thanks to a book blogger and TwiFandom friend, I was introduced to this series as an adult, paranormal story. Given my love of Twilight, it shouldn’t surprise you that I dove right in. It wasn’t long before I understood ADoW to be so much more. The series is intelligently written and well-researched, which undoubtedly enhances the story. But in addition, Deb Harkness is a dynamo at telling great, character-driven stories. The history of science and world-building are fantastic, but it’s Harkness’s dynamic characters and their relationships that draw you in and hook you. As a 30-something, professional woman, I find Diana Bishop to be so relatable and compelling. And actually, during our interview with Harkness at Comic-Con last year, she spoke explicitly about the need for stories that appeal to women across the stages of life. I mean, I love YA as much as the next person… probably a lot more… but there’s something to be said about protagonists who are closer to my age and experience. (You can watch the interview HERE.) Similarly, Matthew Clairmont is charming, possessive, and passionate… about his work, his family, and eventually Diana. Together, these two are dynamite! It was a pleasure to follow their adventures for three books (and hopefully more soon!). So, when Deb Harkness announced that there would be a TV adaptation of the series, I was thrilled for the chance to see this sumptuous story come to life. And I assure you that the TV series does the books justice. Once again, Diana and Clairmont take center-stage, brilliantly brought to life by Teresa Palmer and Matthew Goode. These two are superb! Diana Bishop, historian or witch? 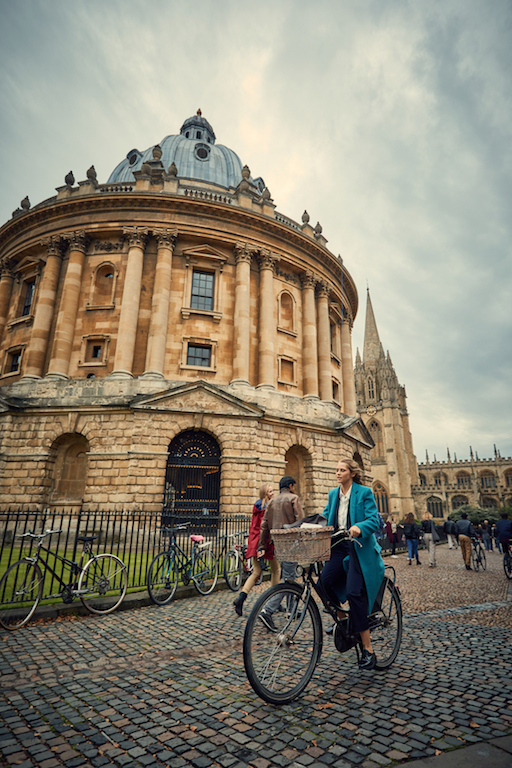 The episode follows Diana, who has just arrived at Oxford University for sabbatical. We quickly learn that she is an erudite scholar of alchemy and the history of science, one of the youngest people to receive tenure at Yale University. Diana gives a talk at the Bodeleian Library (should out to Deb Harkness in the audience! ), which is well-received. So much so, that there’s the potential for Diana to be hired for a professorship at Oxford. All she has to do is finish her latest paper… and this is where we find that Diana is not only an academic, but also a witch. Unfortunately, she only really has sporadic use of her magic. It sort of bursts out of her at inopportune moments. This leads to Diana’s complicated relationship with magic, with further resentment from the fact that her parents were killed many years ago as a result of their magic. During a research trip at a rural Eurasian village, Diana’s parents are accused of being witches and slaughtered. (Interestingly, this is a change from the books, where Diana’s parents are killed in a rural, Nigerian village… I wonder the justification?) As a result, Diana was raised by her Aunt Sarah Bishop and her partner, Emily Mather. Sarah and Emily are practicing witches and active in their community, but Diana hasn’t been interested. After all, magic brings pain. So when Gillian, a friend and fellow witch invites Diana to join the local, Oxford coven, she declines. And when Sarah admonishes Diana for denying her magic and the role of the supernatural in her life (AKA Ashmole 782), Diana drops the call. This is definitely a sore spot for her. Interestingly, the episode (and every episode of the series) opens with Clairmont laying out the essential problem that the supernatural world is facing. For over a century, he has studied the trend of supernatural creatures dying–witches’ powers are getting weaker, daemons are getting more manic, and vampires are unable to sire new vampires. We see this very clearly when Clairmont’s “son” Marcus finds that his blood isn’t strong enough to save his friend and turn him into a vampire after he’s hit by a car. This is a massive problem, but there doesn’t seem to be a cause or remedy. Since Diana is determined to get that Oxford position, she goes to work at the Bod, doing the research for her paper. On this day, her focus is on a set of Ashmole texts. Diana calls book, of which Ashmole 782 is one… an unassuming text. But as soon as she opens it, Diana realizes that this book is different. There are alchemical drawings, but Diana notices that several pages have been cut out. She also notices that it’s a palimpsest, with hidden text underneath that starts… moving… Even more interesting is that all the creatures in Oxford feel a disturbance in their blood. Diana is startled and immediately returns the book. It just so happens that Clairmont is in the neighborhood and comes across Diana as she’s fleeing the library. He has an idea of what’s going on. According to Clairmont, Diana seems to have uncovered the Book of Life, which holds the key to the origins of supernatural species. Matthew has been searching for Ashmole 782 for over a century. Why is this witch who has no control over her magic the only person who can access this text (which disappears from the shelves as soon as Diana returns it)? Matthew decides to meet Diana at Bodleian and their initial meeting is tense. However, they’re intrigued by one another. Gillian, who was in the library with Diana at the time of the disturbance, goes to the leader of her coven to tell her that Diana and Ashmole 782 are at fault. And the coven’s leader decides to bring in Peter Knox and Satu, two very powerful witches and members of the Congregation (the governing body of supernatural creatures). Knox, especially has been looking for Ashmole 782 and seems to know who Diana is, too. Over the next several days, Clairmont follows Diana to different locations and asks about Ashmole 782. More importantly, he warns her. Creatures want that book and Diana seems to be the only one who can access it. She needs to be careful. But Clairmont is right. As Diana goes back to work, the library is overwhelmed by creatures, all waiting for Diana to recall the manuscript. Clairmont is there too, but it might not necessarily be just for for the book. Case in point: Matthew breaks into Diana’s rooms while she’s out rowing, but is unable to find anything. He confronts her again at the boat house. Why is she able to call a book that’s been missing?! But there’s a larger issue at hand. Matthew is craving Diana. He becomes so overwhelmed by her scent, that he instructs Diana to walk away from him, NOT RUN. She can’t even stop to pick up her jacket on the ground. By the time Diana turns around again, he’s gone. COME TO US BISHMONT UST!!! Season 1 of A Discovery of Witches is now streaming on Sundance Now and Shudder.